As we grow older, we start to discover that our homes no longer meet our physical needs as smoothly as when we were younger. Stairs become harder to climb, we trip on transitions that never impeded us before or the lighting seems dull, making it harder to read. 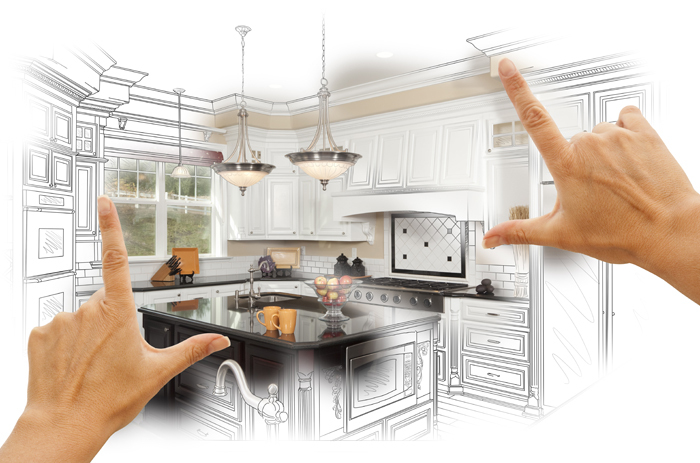 It becomes important to keep our changing needs in mind anytime we do a home modification. Also, many of us will find the need to move an older loved one into our home, some of whom may have Alzheimer’s or another dementia. The unique needs and challenges posed by having Alzheimer’s puts a unique twist on any DIY project. Alzheimer’s is not just about losing one’s memory. Among other things, Alzheimer’s also steals a person’s reasoning, visual perceptions, coordination, and ability to follow multiple process steps. Adapting the home to meet these needs doesn’t have to be hard or expensive. It takes creativity and thought, however. Assessing your home from the view point of a person with Alzheimer’s is hard because each case is unique – but there are some basics to start with. 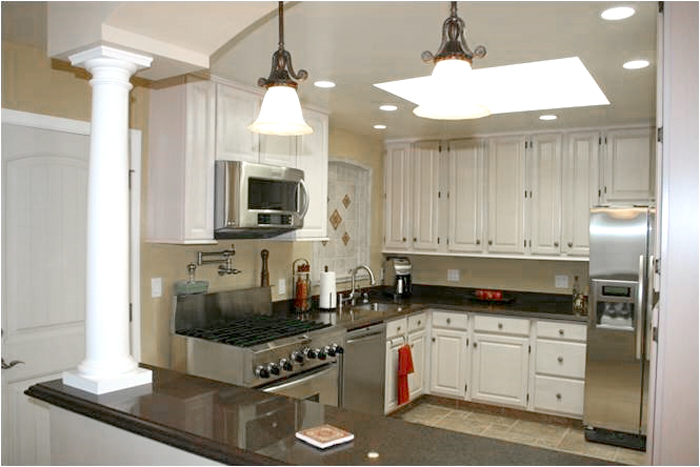 Let’s face it, everyone’s home can benefit from improved lighting in some part of the home. For people with Alzheimer’s, lighting or a lack thereof can result in behavioral issues. For instance, some may experience hallucinations from the “things” they see as a result of shadows. Others experience what’s referred to as sundowning, where the loss of natural light causes them to become confused and/or agitated. By providing evenly distributed lighting throughout the home, shadows can be reduced. To balance loss of natural light, attention should be paid to adjust artificial lighting to compensate. A cool temperature bulb that mimics daylight can be used to give a better feeling of natural lighting to the person who may become confused. Some people with Alzheimer’s are constantly searching for something, while others are constantly sorting and storing. Aside from being a potential trip hazard, you can probably imagine the different scenarios clutter may cause. 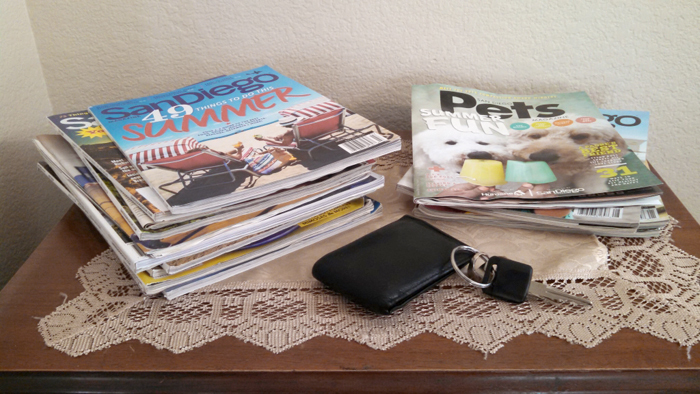 Obviously, there are different levels of clutter, from hoarding to just a small stack of magazines in the corner. One person with Alzheimer’s may like to sort the magazines for you. However, with another person, you may find your magazines or car keys in the freezer – if you find them at all. In this situation, the person had a real purpose about where they were storing the item, and to them it was logical – yes, it happens. So it’s important to put your “valuable” clutter somewhere safe so it doesn’t become lost. As Val says, “Less is More,” and finding ways to organize, conceal, or better yet, eliminate clutter is important when someone with Alzheimer’s is living with you. Many bathrooms are good examples of a high-use area where there’s little to no contrast. For example, it’s very common to have a white toilet, on a white floor, against a white bathtub and white wall. As Alzheimer’s disease progresses, the ability to differentiate between two objects of the same color is compromised. As a result, the bathroom becomes a difficult room to navigate for the person with Alzheimer’s. Busy patterns in wallpaper, rugs, or other furnishings can also lead to confusion. Val’s half-bath (below) provides a really good example of how a bathroom was improved by removing a busy pattern and adding contrast. The toilet now stands out better resulting in less confusion. Whether it’s a throw rug the person consistently walks around instead of over or busy wallpaper that disorients them, it’s rather easy to reduce patterns and replace with contrast. Similar to clutter, spaces that have too much stuff can be potential hazards for anyone. For the person with Alzheimer’s, it’s extremely important these spaces are not only safe but allow them to perform activities that help maintain their purpose and give them a feeling of accomplishment. Building a Balcony Garden demonstrates how a space that has too much stuff can be transformed into an activity area that is functional for everyone. In this example, simplifying the balcony while adding vertical planters creates a space that is more safe, less confusing, and provides an activity that is also more ergonomic. By simplifying a space, whether it’s a balcony or a kitchen counter, the area will now be less confusing for the person. As a result, it may allow them to utilize the area more for beneficial activities. The needs and behavioral challenges of a person with Alzheimer’s may change on a daily basis. What worked yesterday may not work tomorrow so you must stay flexible. Caring for a person with Alzheimer’s in your home is a complex situation. Observing how the person interacts with areas of the home will provide clues to what may be causing them difficulty. Modifying the trigger that causes the person to become disoriented and/or confused is important to helping reduce their agitation and making the home a more safe and enriching environment. 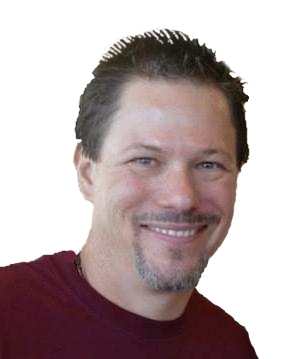 About the Author: Mike Good is founder of Together in This, an online community helping family members caring for someone with Alzheimer’s or other dementia. Through short, informative articles and easy-to-use tools such as the Introductory Guide to Alzheimer’s, he helps them take control and have peace-of-mind they are doing the right things. Thank you Val for sharing this with your readers. With between 60 – 80% of people with Alzheimer's cared for in a private residence, it's important that we take steps to make the home as safe and enriching as possible. Those statistics are surprising. I had no idea. Thanks for the very helpful information and ideas for smart, inexpensive adaptations throughout the house. It’s tough caring for an elderly parent – any help to make it easier makes a huge difference. Thanks, Mike. It offers the perspective that in truly helping to make things easier at home for both the giving person providing care and the actual person going through the challenges, it is so important to have professional assistance in the changing of your home…..I truly believe that most "Handyman" types living in your neighborhood, though well meaning, are not knowledgable in the approaches presented here. Thanks for visiting, Steven, and yes, Mike’s article is good for homeowners that need to modify their homes. But I 100% disagree about handymen not being very handy. Unfortunately many believe this and spend money hiring people when they could just do it themselves. We need to become more self-sufficient and learn how to do things rather than hire them out. Now that doesn’t mean we should do a haphazard job to save money. I believe we can save money AND do a great job on our projects. We all need to build confidence and not think we can never be good enough to be what we need to be. I labeled cabinets for my mama! She loves it because now she can wash dishes and put them away!! Sheri, very smart! Any time we can help someone feel useful and independent it’s a win, win! thanks, as a memeber of an expertisegroup cerebral visual problems due to dementia, i'm very pleased with this artikel that shows taht there are soluttions that are easy to realise. This is an excellent article about accommodations for those specifically with Alzheimer's. While I search most days for info about memory impairment, I think this is the first time I've seen an article about DIY to make a loved one more independent and safe. Bravo!! So glad you came by, Bea! Our home should reflect the people in it, so to have it accomodate our special needs is so important.